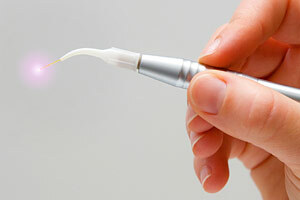 How are dentists currently using lasers? These devices have been proven to help in the detection and treatment of oral diseases. They can be used for treating gum disease, detecting cancer, and pinpointing tooth decay in its early stages. They can precisely remove tissue, seal painful ulcerations like canker sores, and even treat small cavities. In the future, dental laser technology will undoubtedly find even more applications. Are you looking for a dentist who uses advanced technology like laser dentistry? Call the Portage, MI office of Dr. David J. Wadas today at (296) 323-1802 to schedule your appointment!